With the dissolution of Harriman’s railroad holdings in 1913, the group’s roads returned to designing and building their own rolling stock to meet their unique operating environments. 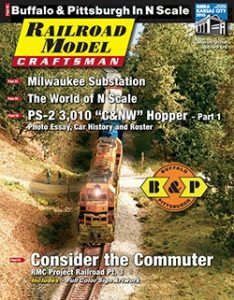 This led to Southern Pacific (SP) improving on a previous Harriman design of 50-ton flatcars (F-50-4 class) that proved to be inadequate in revenue service due to failures of their single I-beam Bettendorf underframe. The SP’s new F-50-5 that began entering service in 1916 used a built-up double beam center-sill underframe that would prove to be markedly more durable. A key distinguishing feature of all this class of flatcars was the overhanging deck with wooden blocks and steel angle iron to support the overhang. During a production run beginning in 1916 and ending in 1928 some 1650 examples of the F-50-5 and similar F-50-8 and F-50-9 series would be produced by the Ralston Car Company or from salvaged parts by Southern Pacific. These cars and subsequent variants of the class would form the backbone of the railroad’s flatcar fleet until after World War II, when 70-ton cars began to be introduced to the roster. Still, many of the F-50 class remained in regular revenue service until the 1960s with still others being assigned to maintenance of way service until well into the 1970s. During their life spans, each of the cars experienced a number of re-buildings and upgrades. Notable among these was the replacement of the original single piece Westinghouse K brakes with the improved AB brake system with separated reservoir and piston. Both brake types are included in this kit. 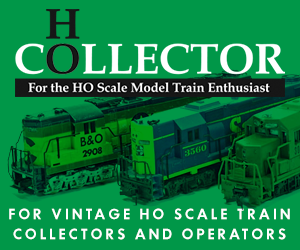 Owl Mountain Models HO-scale kit for Southern Pacific’s iconic F-50-5, F-50-8, and F-50-9 class of flatcars includes everything needed to assemble a nicely detailed and accurate model. The company provides the body parts in molded plastic that is completely flash free and highly detailed. You’ll find assembly of these parts easily accomplished with Testors or a similar liquid plastic adhesive. Investment cast brass stirrup steps; brake wheel and roping staples are included to complete the model. The roping staples are of note since this is a fairly common detail rarely included in most models. Brass wire is included for brake rodding, brake staff and you bend a portion of the wire into grab irons using the jig provided on one of the parts sprues. Holes for the various details are cast into the side sills and ends. These require a minimum of clean out to easily attach these parts. Assembly of the flatcar body is intuitive and easy, the builder attaches all of the underframe parts to the underside of the deck, which is keyed to accept each of the pieces. I found this process easily completed in around an hour. I would estimate you can have the entire Owl Mountain Models flatcar kit assembled, less paint and decal work, in an evening. The clearly illustrated and laid out instruction sheet provides straightforward guidance to successfully complete this model. To reach the proper NMRA recommended practice weight, you’ll find the center sill comes notched to accept a set of Adair Shops alloy weights. You mount these weights out of sight and they will provide for a total weight of the finished car to be 2.8 ounces, only slightly over the 2.5 ounces recommended. The finished flatcar rides on acetyl resin three-part Bettendorf T-section trucks. The two sideframes are friction mounted on the central bolster providing a bit of equalization to the finished truck. Metal wheel sets complete each assembly. Also, 2-56 machine screws are included to mount both the trucks and couplers to the body. You’ll need to tap the bolster and coupler box to allow for install of the screws. I recommend doing this job prior to assembling these parts to the body, however, if they are affixed prior to threading these assemblies, a bottoming tap can solve this oversight. To remove any residual mold release the assembled trucks were washed using detergent and rinsed with water. I then allowed the parts to dry overnight prior to painting. The bolsters and sideframes received a coat of red oxide paint to match the body color and the wheels were painted with a dark gray primer. A final touch includes some weathering with a wash of burnt umber oil paint to simulate the grease that seems to always accumulate on trucks with friction bearings. Rounding out the car is a pair of Kadee #158 scale couplers with whisker centering springs. These just drop into the coupler boxes and are retained by a cover retained by a 2-56 machine screw. Coupler swing is somewhat limited due to the scale width opening on the end sill. This should create no issues when operating the car through No. 4 or larger turnouts and on reasonable radius curves, however, there may be issues should this car be run on tight industrial trackage. Along with the glue and a few hand tools the only other item not included in the kit is the paint. On the body on Railroad Model Craftsman’s sample model, I applied a coat of oxide red with the deck receiving a tan base coat. Then, I sealed the flatcar model’s finish with a gloss coating to accept decals. The decals provided with the kit are exceptional. The film is thin, flexible, and strong. With the exception of a few of the smaller labels, each of the sets of lettering is on a separate block of backing. This makes application of each decal much easier and precise. Micro-Set decal wetting solution and Micro-Sol setting solution were uses to allow the decals to conform to the model. Once the decals dried, I sealed the finished flatcar with a second coat of gloss. Washes of raw umber and burnt umber oil paint followed by gray went on the deck surface to provide a weathered appearance. A final step included a flat finish coating sprayed on the model to provide a matte appearance. Additional weathering hints are included on the Owl Mountain Models website, in addition to those provided in the instruction sheet. The finished flatcar model is detailed and accurate in addition to being both fun and easy to assemble. Owl Mountain Models cut no corners in producing a complete quality model of this common and often overlooked prototype.